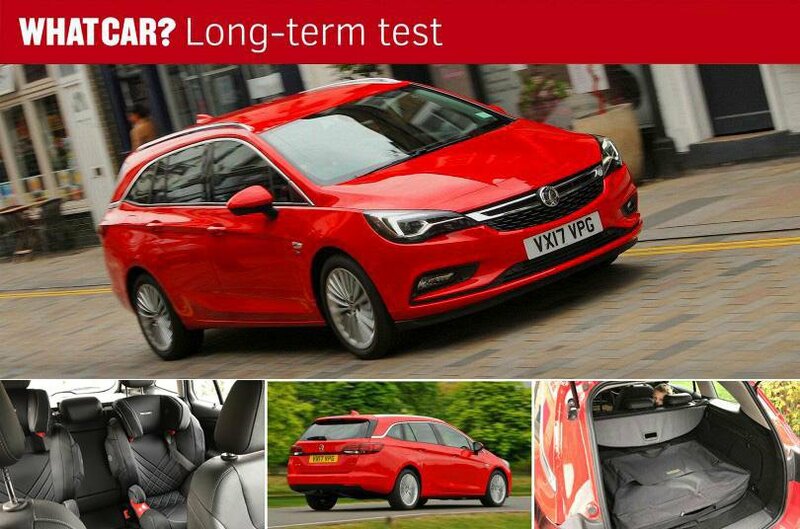 The Vauxhall Astra Sports Tourer has been absent from my driveway for a week now, and asking myself whether I’m missing it or not, I’m surprised that the answer is a cautious yes. Upon arrival, I'll admit it didn't appear to suit our family on the face of things – here was a petrol-powered car which wasn't an SUV or MPV, and which didn't have an automatic gearbox. And yet through more than 10,000 miles, it served its purpose as a child-delivering device, general purpose family droid and commuting car incredibly well. And what’s more, in a world increasingly obsessed with form over function, it maintained enough personality to keep itself mostly in my good books through its tenure as our family mule. I always think that a key indicator of how good a commuter car is is how spritely you feel at the end of each journey, and on those mornings when it delivered the children to school and then negotiated a quarter of the M25, I often felt as if I had hardly driven at all. I put this down to good interior build quality – I never detected so much as a rattle – and the smooth, light ride. The steering, while light and perhaps slightly artificial in feel, gives you a great amount of information and the confidence which comes with knowing exactly what the front wheels are up to. Equally, the ride, while taut, was smooth enough as to give the sense that you were gliding along country lanes. Even the gearbox was slick and easy to use. 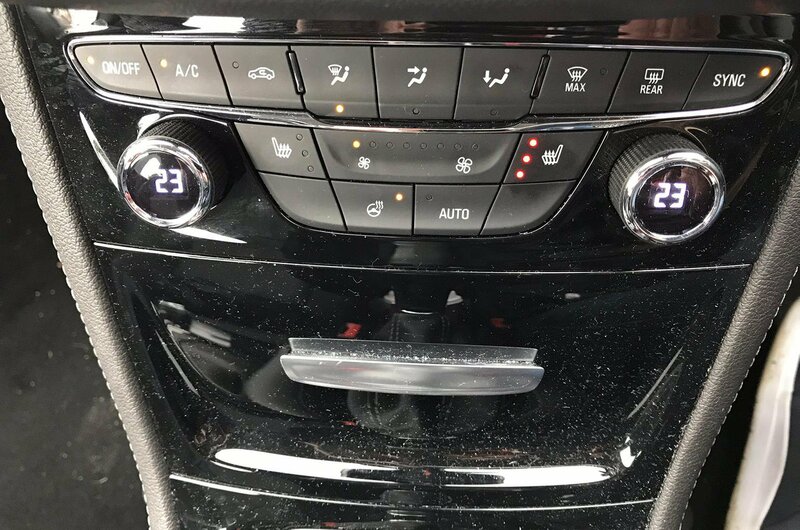 Apple CarPlay smartphone mirroring is increasingly standard these days, and it's always welcome. Yet, as with some Fords I’ve driven, we found it would from time-to-time engage in civil war with the car's own entertainment and phone systems, as well as Vauxhall's OnStar concierge service, leaving you stuck in the no-man’s-land void between the two. Moreover, our car was equipped with an onboard wi-fi hotspot, yet we struggled to make it work consistently enough as to be of any purposeful assistance. 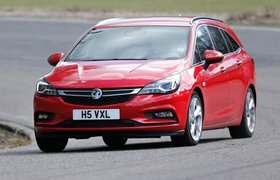 Of bigger irritation was the Vauxhall’s over-sensitive approach to safety. On one instance, the car even engaged the automatic emergency braking without an apparent emergency in progress. And then there were its various alarms. In fact audible alarms, warnings and confirmations in general were a nuisance, and whenever you turned the ignition on you initially felt as though you were in a Giorgio Moroder album. All that said, though, the Astra was a trusty steed. I quickly got used to looking down at the dashboard to check speed limits and then trusting the limiter to prevent me breaching them, just as habitually driving away without having to disengage the handbrake caused some frustration when returning to our usual family car. I'm also still impressed with how much kit the Astra comes with. The LED matrix lights were exceptional, and should you get the chance, take a moment to watch the unintended homage to the old mobile phone game Snake when they initially illuminate. Marvellous fun. The optional heated seat and steering wheel were also a boon in the recent chilly weather. We never once lacked for space, and we take up a lot between my wife’s business and the children's various assemblage. And while I hanker for the back-saving height of an SUV, the Astra has given me cause to consider an estate for our next car. Listening carefully to the debate of which is the safest and most efficient fuel to burn, I’m still not convinced that a latest-generation diesel is not the best solution for my family right now, and the Vauxhall’s turbocharged petrol engine did little to sway the debate. I found it to be thirstier than the official figures suggest and not anywhere near feisty enough to deserve it. Another issue was with the car's reversing camera, which I found to be all but useless unless you got out and wiped it free of road grime first.